The Dynamic Neural Retraining System (DNRS) is a Limbic System Neural Rehabilitation protocol developed by Annie Hopper, an expert in limbic system related illnesses. Her neuroplasticity therapy re-wires the brain to build more functional neural pathways. 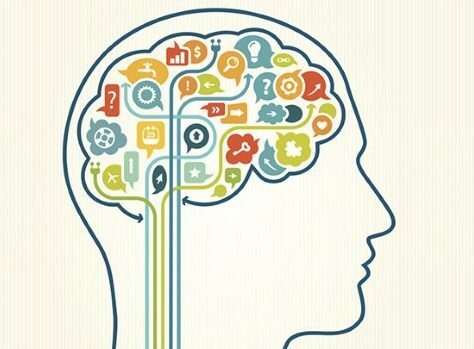 DNRS integrates the following therapies and more: Neuro-Linguistic Programming (NLP), Cognitive Restructuring (CR), Incremental Training, and Cognitive Behavioral Therapy (CBT). Make no mistake, results of the therapies listed above do not reflect the same results gained by the participants of DNRS. This protocol is an artfully combined set of techniques which effectively encourages the remapping of faulty neural pathways. The full list of medical conditions this neuroplasticity therapy can be applied to is listed here. Clinical research on DNRS is currently underway at the Universities of Alberta and Calgary. This experimental Canadian treatment is soon to make itself mainstream and known in medical clinics everywhere. May you not have to wait 10 years to find treatment like I had for what my doctors and I now know were all Limbic System related illnesses. Current theory reveals when someone is chronically ill or in pain, the brain will issue a constant stream of alert chemical/hormone messages to inform the rest of the body there is a problem – this response stems from the fight-or-flight response governed by the sympathetic nervous system. It is the Limbic System which plays the major role in processing the information for the nervous system by taking input from our environment via our senses and determines autonomically (without conscious thought) when the alert response is fired. Infections, chemical exposure, and physical trauma all activate the response in addition to emotional distress and genetic predispositions. Unfortunately, the fight-or-flight response can become locked in the on position after an initial physical or emotional trauma or set of traumas. The trauma(s) now recorded in the neural circuits in the nervous system can reduce and even prevent normal functioning of other systems of the body, including the immune, endocrine, and digestive systems (ie. all systems). The dysfunction will continue so long as the faulty circuitry is not rewired. This protocol devised effective ways to reprogram the maladapted neural circuits through the intervention of your conscious influence. Remember, the error does not lie “in our mind”, but in the actual neural circuitry of the brain. While overriding the fight-or-flight response allows the body to put its energy back into cellular repair and regeneration, this is a normal process present within all healthy bodies. With practice, the fight-or-flight response will not be initiated inappropriately, and as the response normalizes, the body’s natural repair mechanisms resume. Through the inherit properties of neuroplasticity, new and healthy brain connections are created while faulty connections are disconnected. As the new circuitry becomes the predominant way the brain now functions, which is experienced in as little as 6 months, the neural retraining process concludes and you can enjoy your improved health! The doctors I worked with were especially excited and intrigued by my recovery. The 35 specialists I had seen and my 2 visits to the Mayo Clinic had been helpful in diagnosing many of my conditions, but determining how to recover was not known. My suggested plan of action was to take medication to manage the symptoms and wait until I “grew out of it.” However, my health continued to decline and the medication intended to make me more comfortable never did. This program helped my doctors and me understand that at the heart of my growing list of conditions was an acquired Limbic System Impairment. After a decade’s worth of pain and illness, we finally learned why it was all happening and how I could get better with the information provided through the Dynamic Neural Retraining System. To begin this treatment, jump in with the 14 hour at-home DNRS Program. The course is available in DVD or online format. I recommend this course because of its reasonable price tag, starting at $250, and you can learn the neuroplasticy-based tools at home, which is necessary for housebound individuals. I also like that you can receive a complete, written transcript in addition if looking at a screen for long periods of time is difficult due to extreme electrical or light sensitivity. If you have a caregiver and/or you cannot view the course yourself, have your caregiver or a loved one complete the course so they can learn how you will be implementing the therapy at home. Once you have ordered the DVDs, you will have free access to the DNRS Online Community Forum. The forum is geared towards recovery and celebrating your progress. I really enjoyed being able to converse with others implementing this treatment. Everyone was supportive, encouraging, and they always knew how to put a smile on my face. After you complete the 14 hour at-home DNRS Program, you also gain access to DNRS Telephone Coaching Support. What makes the coaches’ insight so unique and valuable is they each experienced their own restoration of health using this protocol. 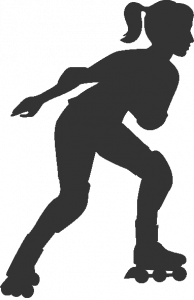 Don’t worry if your coach recovered from Multiple Chemical Sensitivity and you are suffering with Postural Orthostatic Tachycardia Syndrome etc…the DNRS Coaches are trained in every Limbic System Impairment related condition. My DNRS Coach didn’t have half the conditions I was looking to recover from, but she was incredibly knowledgeable and helpful! She offered me recommendations that directly improved my application of the program, and she was simply a joy to work with. At any time, you can attend a DNRS Interactive Training Seminar to experience the intensive 5-day in-person program. Approximately 50% of participants attend a training seminar at some point during their treatment. I attended one 6 months after I completed the DNRS at-home program. The training seminar was invaluable for me because it gave me the confidence to know that, yes, at the root of all my diagnoses was an impaired Limbic System, and yes, there is an answer for that and this is it! It convinced me to let go of my doubt and follow the program the way it is laid out in the DVD/online home program. Remember that you are welcome to attend an Interactive Training Seminar before ordering or completing the DVD/online home program if you prefer. I can honestly say I have never seen a more effective treatment for those battling chronic ailments. Perhaps even more interestingly, I have yet to see this program fail a willing retrainer. Every participant I knew that implemented the program as prescribed in the DNRS home program experienced life-changing improvement. So I hold the highest wishes for you and your recovery! 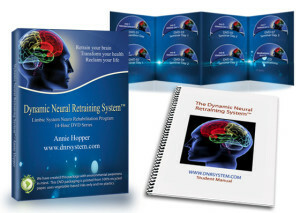 I began my Limbic System Neural Rehabilitation with the DNRS Home Program (DVD or online). Six months later, I attended a DNRS Interactive Training Seminar to deepen my motivation to implement the program. After the five day seminar, I began working with a DNRS Coach twice a month via telephone sessions, and my recovery was complete within one year. It was a gradual process of improvement and better functioning until there was no more improvement to be made. I was recovered! DNRS Coaching is not required, nor is attending an Interactive Training Seminar, however, for me, I fared much better receiving coaching support and having attended the training seminar. With the added support, I made greater improvement and, more importantly, I gained the motivation I needed to see my recovery through to completion. I don’t think you can go wrong beginning the DNRS Home Program DVD or online version (DNRS has a 100% satisfaction guarantee), but if you are considering the Dynamic Neural Retraining System and need to learn more first, you can reach out to DNRS at info@retrainingthebrain.com as well. The team is unfailingly helpful and thorough in their correspondence. Also, you may read Wired for Healing by Annie Hopper. In it, Annie relays the science behind her protocol in which the brain is remapped for healing. Her book serves as an introduction to the realm of acquired limbic system impairments and neuroplastic healing. Chapter 10 also includes more details of my story.